I dont understand LP10 40% at all. 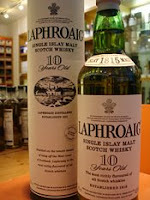 only islay I had was Bruich Peat. That fix me up. Plus the Wood smoke hint in some blend. Getting no Phenolic arrival with LP10 40% just some unknown woody smoke residue in nose without the pleasing effect. And an unknown sweetness that is not fruit. No salt. More in Teachers Blend. I read somewhere that LP has altered this starter to make it more easy going for general consumer. I think they over did it. I have drunk 3/4 of it. trying not to be fussy. Still dont get it. The water is not ocean like. more like a lake. I could the unchilfiltered one in mind but old pulteney 12 40% is not my thing if its similer. 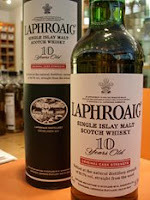 I will try Ardbeg as buring Tar phenolics would suit me.